A Building Burns. Oakland Suspects Arson. A big construction site of new housing went up in flames early Tuesday morning, and people immediately suspected arson. Some Oaklanders say it's motivated by anger against gentrification. 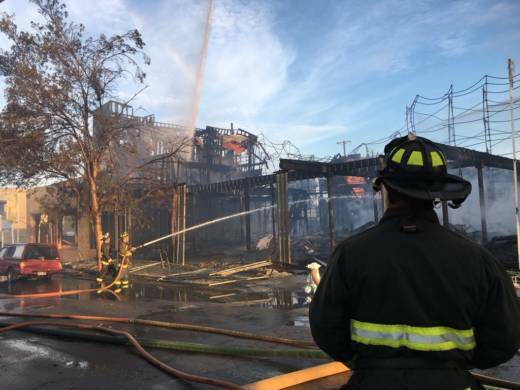 The five-alarm fire in West Oakland isn't the first time new construction has burned lately.